The ecosystem approach, broadly understood as a legal and governance strategy for integrated environmental and biodiversity management, has been adopted within a wide variety of international environmental legal regimes and provides a narrative, a policy approach and in some cases legally binding obligations for States to implement what has been called a ‘new paradigm’ of environmental management. In this last respect, the ecosystem approach is also often considered to offer an opportunity to move beyond the outdated anthropocentric framework underpinning much of international environmental law, thus helping re-think law in the Anthropocene. 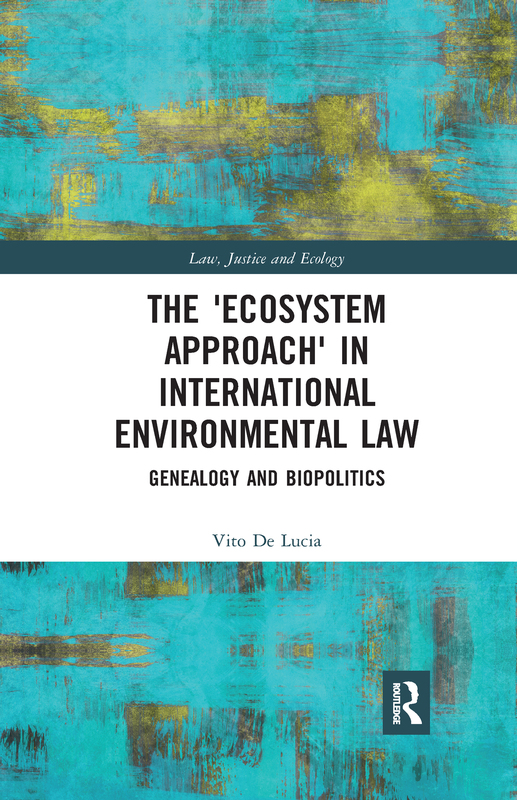 Against this background, this book addresses the question of whether the ecosystem approach represents a paradigm shift in international environmental law and governance, or whether it is in conceptual and operative continuity with legal modernity. This central question is explored through a combined genealogical and biopolitical framework, which reveals how the ecosystem approach is the result of multiple contingencies and contestations, and of the interplay of divergent and sometimes irreconcilable ideological projects. The ecosystem approach, this books shows, does not have a univocal identity, and must be understood as both signalling the potential for a decisive shift in the philosophical orientation of law and the operationalisation of a biopolitical framework of control that is in continuity with, and even intensifies, the eco-destructive tendencies of legal modernity. It is, however, in revealing this disjunction that the book opens up the possibility of moving beyond the already tired assessment of environmental law through the binary of anthropocentrism and ecocentrism. Towards a productive reading of the ‘ecosystem approach’?